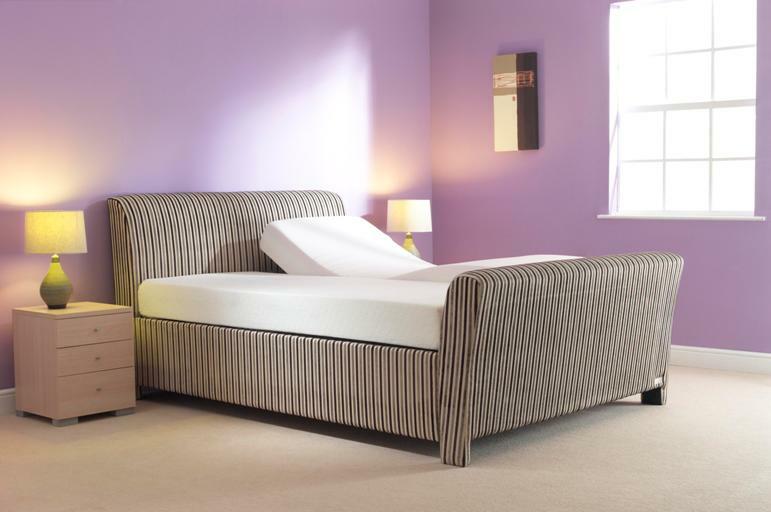 The Carrick electric adjustable bed is a beautiful bed with a high foot end surround that will look superb in any bedroom. The high foot end bed is another fantastic bed for style and comfort. All Laybrook beds come with strong beech wood slats that have tension adjustments in the base to make the feel of the bed softer or firmer around the hip area. Available in 3ft, 4ft, 4ft 6, 5ft and 6ft (Special orders can be made to any height or length). Standard size for the Carrick is 22 inches from the floor to the top of the mattress.